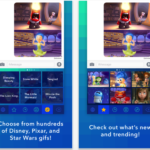 According to App Store analytics firm App Annie, who has analyzed the performance of the currently iOS exclusive HBO NOW app in terms of its ability to attract paying customers who are willing to subscribe to HBO’s over-the-top option, the app topped the iOS revenue charts in May and is continuing to remain strong in June as well, TechCrunch is reporting. HBO is currently charging $14.99 per month for the service, which provides access to HBO original programming and movies previously only available to HBO subscribers through pay TV providers. According to App Annie, HBO’s strategy to offer a free month of access before users had to sign up and pay, turned out to be a success. The month after its launch, HBO NOW debuted at No. 1 on its Worldwide May iOS revenue charts. It also became the No. 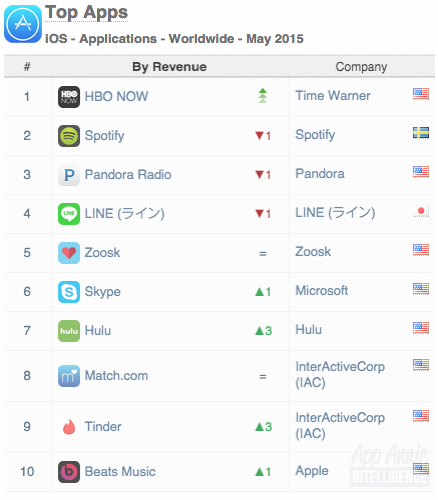 2 Overall daily grossing ranked app in the U.S. on May 7. The source also highlights that HBO NOW’s traction isn’t only indicative of consumers’ interest in “Game of Thrones” and the other popular programming it offers, but instead is a bullet point in a larger trend around cord cutting. As for Canada, the service is not yet officially available, though there’s a pretty good workaround to watch HBO NOW in Canada.